 Garces Memorial High School offers a summer session for students entering grades five through twelve in the academic year 2018/2019. Garces Memorial High School offers a summer session for students entering grades five through twelve in the academic year 2019/2020. In its 27th year of operation, the summer curriculum is a combination of academic, athletic and enrichment classes, which are offered, in a relaxed, safe atmosphere. Most classes are small which facilitates individualized learning to meet the needs of students from different educational backgrounds. For the convenience of students going on vacation, we offer most middle school classes in 2-week blocks. ENROLLMENT: Some classes have a limited enrollment. Students cannot be officially enrolled until tuition fees are paid. We reserve the right to cancel courses with less than 12 applicants. Efforts will be made to accommodate the choice of periods with respect to the classes that have been selected for each student. We do not guarantee that this will be possible in all cases. We will add additional courses, as needed, but due to limited classroom space, these classes will most likely be added to third or fourth periods. The only summer school grades posted on the Garces transcript will be 5 and 10 unit classes. TUITION: All tuition prices are quoted at the end of the description of each course. Tuition must be paid in full at the time of registration. Tuition for all courses includes a $75.00 non-refundable registration fee. Tuition will not be refunded for applications withdrawn after the close of school on May 3, 2019. Books are not included in tuition. SCHEDULE OF CLASSES: All schedules must be picked up in the school office on Wednesday, May 29th from 3:00 P.M. - 5:00 P.M. Schedule Change Fee: $50.00, each time you make a change. BOOKSTORE HOURS: May 29, 2019, 3:00 – 5:00 PM. Most academic courses require a textbook or packet. ATTENDANCE POLICY: Students are expected to be in class on time each day. If a student is absent from school, please call the attendance office (327-2579) prior to 8:00 A.M. on the day of the absence. 5 and 10 Unit Classes Only - Credit may be withheld if a student is absent more than twice or is tardy more than three times during the equivalent of one semester. Students who anticipate an extended absence from school must receive prior approval from the Director of Summer School. Once the absence is excused, the Director of summer School will schedule the mandatory classroom make-up sessions for the student. July 8, 2019 – Final Exams and last day of school for 10 unit classes. "0" Period: 6:15 - 7:30 A.M.
1st Period: 8:00 - 9:15 A.M. Recess: 9:15 - 9:35 A.M.
2nd Period: 9:40 - 10:55 A.M. Lunch: 10:55 - 11:25 A.M.
3rd Period: 11:30 - 12:45 P.M.
4th Period: 1:00 - 2:15 P.M.
10 unit classes go from 7:30 A.M. – 12:45 P.M. each weekday.